Depending on where you live, we’ve got sunshine or clouds and showers this weekend. 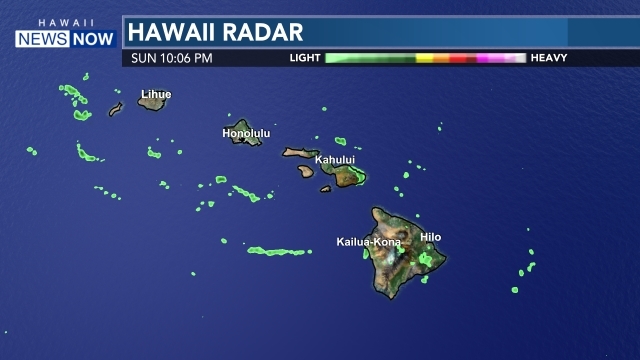 Ni’ihau, Kauai and O’ahu will see clearing skies today; Maui County and Hawaii Island will have clouds with possible showers and thunderstorms. That means that winds will become northerly just behind the front, and then trade winds will return briefly tonight into tomorrow. 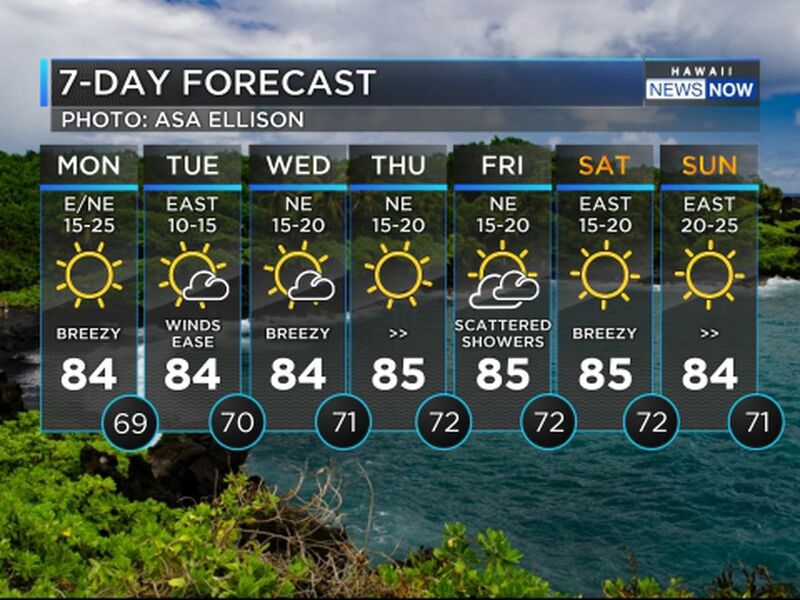 Winds will veer and blow from the south again by Sunday with another approaching front that could bring increasing showers for the western end of the state, reaching Kauai late Monday or Tuesday. Winds for Maui County and Hawaii island will be coming out of the south just ahead of another frontal system arriving late Sunday into Monday. 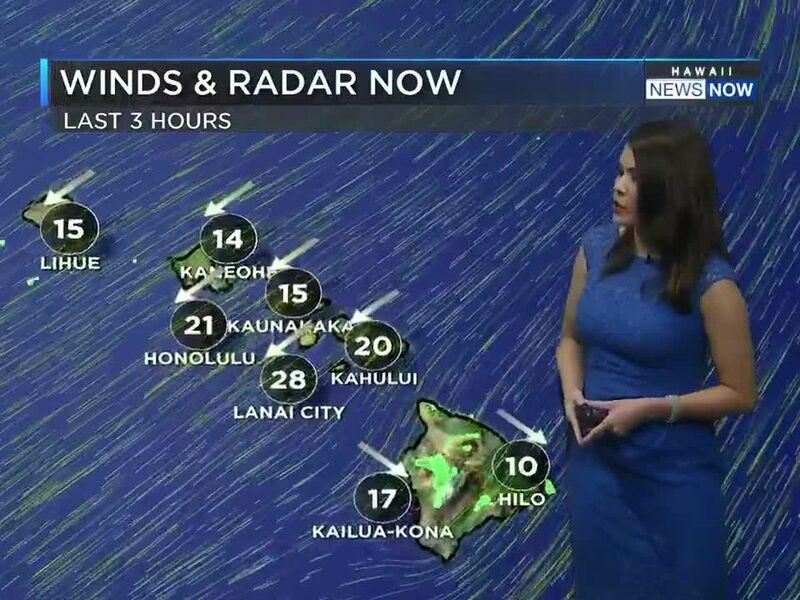 The frontal passage will bring some very strong winds for the summits of Mauna Kea and Mauna Loa, where a wind advisory is now posted until 6 p.m. Friday. West winds of 30 to 50 miles per hour with localized gusts to 65 miles per hour are possible. The current swell is on the way down through the weekend. For mariners, a small craft advisory is posted for coastal waters around Kauai County and Oahu due to the cold front. Another cold front is on the way, crossing Hawaiian skies Monday night into early Tuesday morning. Drier and breezier weather is still expected for Easter weekend.